‘Build it and they will come’ is a saying that may apply in the world of bricks and mortar, but in the digital era it couldn’t be further from the truth. Your website could be the most exquisite piece of digital design imaginable, thoughtfully and imaginatively laid out and offering a superb shopping experience, but if the search engines don’t pick up on it then it simply isn’t of value to your business. The internet has made experts of us all. Online courses, videos and tutorials on just about anything you care to think of make it easy for us all to learn new skills. Information delivered directly to our screens has made it possible for any of us to learn almost everything we could possibly need to start, or expand, a business. They need to learn even the rudiments of coding were rendered unnecessary with the explosion on to the scene of ready-made templates offering budget-priced websites using drag-and-drop technology. Shove in a few keywords and you were good to go. Do you understand how search engines work? We all know about SEO and keywords. You have to know the words and phrases that prospective customers type into their search box and replicate them in order to feature high on search engine rankings. At least, that’s how it appears to those of us who don’t live our lives around search engine developments. 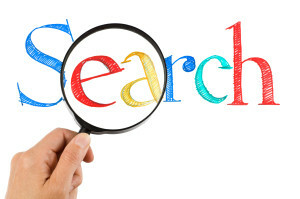 Some of us know that the number of links to and from other sites can also have a profound impact upon search rankings. But did you know that too many keywords can make web crawlers suspicious? Over-egg your keyword pudding and you could have the opposite effect from the one you intended. In fact the way search engines such as Google operate is very fluid, with new developments constantly coming online. Even a company as large as the BBC can come unstuck, as reported in April this year, when sections of its own website failed Google’s new ‘Mobile Friendly’ test. The news that websites have to conform to new standards has taken many companies by surprise. Luckily there are companies on hand to help, such as Big Media House which has produced a great free tool to help sites conform to the new mobile-friendly agenda. But this is far from the only significant change to the way search engines prioritise their results. Search Engine Land offers visitors a handy reference guide to some of the most important changes to algorithms that have affected search results. It’s a good starting point for anyone keen to keep on top of the current state of play in search engine ranking systems. With so much at stake though, in this rapidly-advancing digital era, businesses are advised to seek professional advice if a website isn’t significantly enhancing their turnover. With so much at stake, website performance is worth every penny of your budget that you devote to it.